One of the telltale signs of a disorganized office is a desk covered with multiple stacks of paper documents yet to be filed. 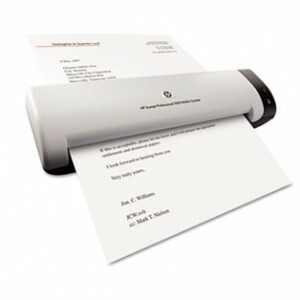 To help reduce office paper clutter, a desktop scanner is key. If you recycle the paper documents after you’ve scanned, you can feel good that you’re environmentally conscious in your organization efforts. You also get bonus eco-points if your scanner is ENERGY STAR Qualified like the one pictured from HP! One way to encourage coworkers to recycle and to keep recycling efforts organized is to use a recycling station. A recycling program can be facilitated by purchasing a sorter that separates recyclables such as plastic, paper, and aluminum cans. By taking this extra step to organize your recycling efforts, you can ensure a successful recycling program at work. To learn more about recycling programs in the workplace, read the article “Start an Office Recycling Program”. iPads, Kindles, and Galaxies, oh my! Personal Digital devices are here to stay and chances are you have more than one, each with its own unique charging cord and port. What better way to stay organized than to create a charging station in your office? 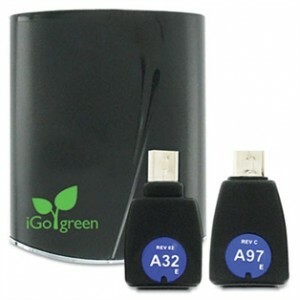 Use a wall charger like this one from iGo® that allows for charging of several mobile devices at the same time and that’s compatible with usb-powered devices to eliminate the waste of multiple chargers. It too is ENERGY STAR Qualified. Tax time is looming and with it comes the responsibility of storing files for up to seven years. While many of these files can be converted to digital, some paper documentation is inevitable. Archive boxes are ideal for storing documents over time. 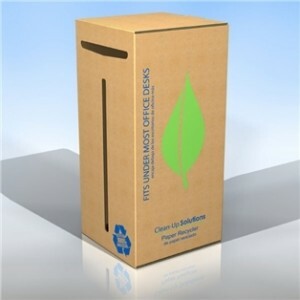 One option for doing this the “green” way is to purchase file boxes made from 100% recycled paper. Every office goes through its fair share of consumables, be it breakroom supplies like napkins and paper plates or office paper and pens. A great way to stay organized and reduce trips to the local office supply store, is to auto-schedule delivery of your most frequently used supplies. 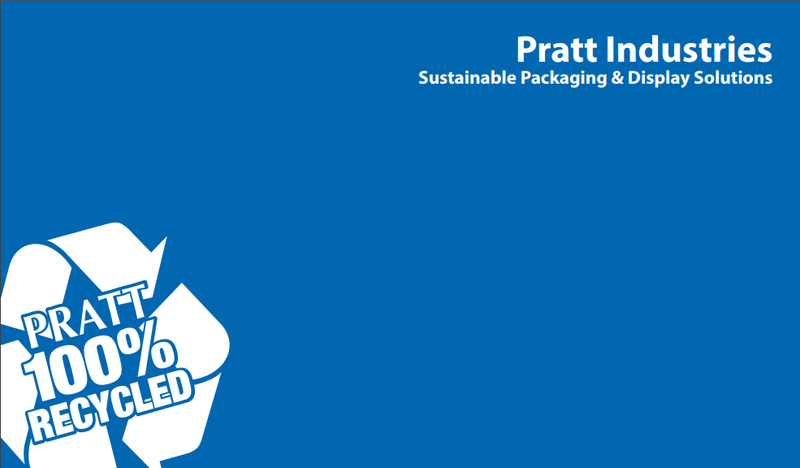 Through a My Pratt account at PrattPlus.com, you can set up a unique schedule for each item, so that just as you’re running out of a product, a replacement conveniently arrives! 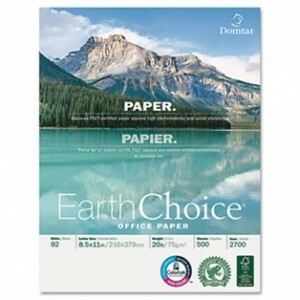 Start with this FSC Certified office paper from Domtar.